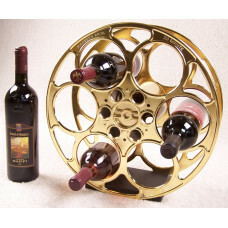 We think seeing a great movie in your own home theater is more than reason enough to enjoy a fine bottle of wine. And nothing goes better with a fine bottle of wine (or your favorite snack bar soft drink) than a Goldberg Brothers wine rack. Size: 15" x 15" x 5 1/4"